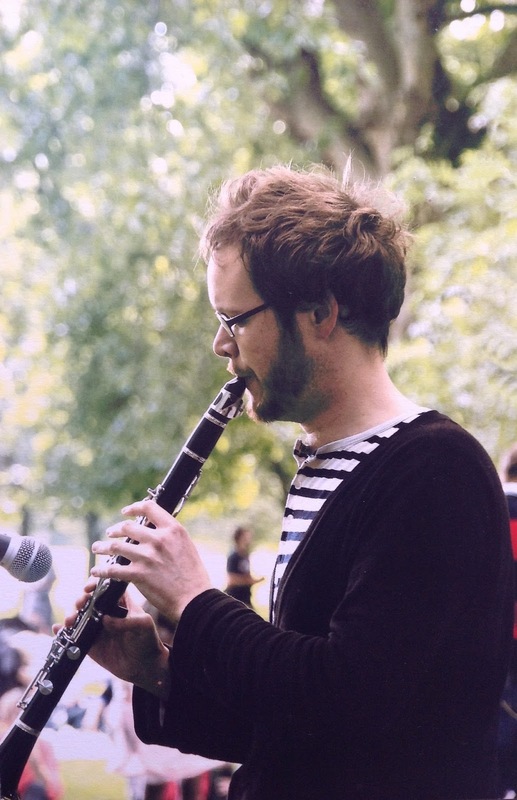 Swedish and Scandinavian music in London and beyond by clarinettist and melodeon player Esbjörn Wettermark. I play. The clarinet. The melodeon. Flutes. Mostly. Scandinavian dance music. Polskas. Waltz. Polka. Herding tunes. I learnt. Kitchens. Dance floors. Others. I studied. Malung. Malmö Academy of Music. University of London. I research. Publish. Music and theatre in Vietnam. Folk tunes from Hälsingland. I teach. Children. Adults. Myself. University students. I morris. I engage. People. Sounds. Things. What is Scandinavian and Swedish traditional music? The Scandinavian countries, that is Sweden, Denmark, Norway and Finland, have a lot of shared history and culture. When I talk about Scandinavian traditional music it is this shared aspects of the music cultures which I alludes to. That is not to imply that there are not differences between them, but as it is possible to talk about 'Celtic' music as a general repertoire and style, I think it is possible to do the same with Scandinavia. My focus as a Swedish folk musician has been dance music, and to an extent herding tunes and folk songs. Although my main repertoire is Swedish, as most folk musicians in my generation, I have also played a lot of tunes from Norway, Denmark and Finland. If I would think about one thing which to some degree connects this 'Scandinavian' music, I would say that the prevalence of pieces in various forms of three beat meter (3/4), which is much rarer on the British Isles. Although this is less pronounced in Denmark with its more continental connections and in Finland where there is both a Swedish influence and an older Finnish music tradition, the three beat meter is a reoccurring element which I often have to work with when teaching Scandinavian music in the UK. At some point I will write a longer introduction to this area but if you are interested to learn more. I would recommend Dan Lundberg's introduction to Swedish folk music on the website of the Swedish Centre for Jazz and Folk Music Research. This week I taught you three tunes from Denmark, Finland and Estonia. The common denominator was that they all were different kinds of polka, or at least 2/4 polka-like tunes. Although there are lots of different types of dance tunes played in these countries, the polka has definitely been very popular in both Denmark and Finland. For those of you who want to here some more music from these areas I am putting together a play list on spotify, which I will add below in the coming days. The first tune we did was ‘Jysk Fynsk’ , a local name for Rheinlænder-polka, from a recording with fiddler Levy Vilsen from Læsø, Denmark. The second one was a polka recorded by the influential Finnish folk group Kankaan Pelimannit, I don’t know much about the tune other than it was called Stövelpolka (Boot-polka) on a Swedish issue of their 1977 LP ‘Kangas Spelmän’ . The last short little tune was a Swedish-Estonian polka-like ‘laik’ (tune) from the bowed harp (talharpa) player Hans Renqvist from Ormsö in Estonia. This week we did an asymmetrical polska with a short first/or long second beat. There are tunes played in this way in several places around Sweden (and Norway) but nowadays it is primarily associated with the western parts of Sweden. This tune, however, was collected from the fiddler Carl Herman Erlandsson in Uppland just north west of Stockholm. I taught you the tune in a style similar to how many musicians play this tune today, the original transcript however is somewhat different. Erlandsson (1857-1936) was from a Swedish traveller family and although he eventually settled in Uppland many of his tunes was in a style more commonly associated with the province of Dalarna. As a young man he was sentenced to eight years of hard labour for manslaughter and it was not until later in life that he became recognised as a fiddler. As you will see on the sheet music it is not easy to notate these kinds of polskas in a way which makes it easy to read, and there is always a risk that it becomes more confusing! If you want some initial help to get into the rhythm you can try this 'polska metronome' which Tom found online (thanks Tom!). However use it carefully, it may be a good tool to get reminded about the short first beat but don't use it as foundation when you play the tune. You can also listen to Lena Jonsson and Brittany Haas' version of the tune (see video link below, or listen to the whole album here). In the sheet music I have given suggestions on how to render the chords on a fiddle/melody instrument, but put on the recording and try things out yourself, you might well come up with something else which sounds great! Lena and Brittany playing their arrangement of the polska together with an American old-time tune. Another three tunes from Hälsingland this week, schottis, polkett and polska. The schottis I learned from Bertil Westling, who also taught me last weeks waltz. He got if from Holger Sjödin in Enånger, and it is fairly well known tune Holger was not much of a musician himself but played some of his father's Kalle Sjödin (1866-1938) repertoire. The polkett, another word for polka, I got from Olle Ollson, know as Vänster ('left') Olle as he played his fiddle on the 'wrong' side. Olle's father Olles Jonke was an important link to the older fiddle traditions in southern Hälsingland and in the late 1970s and early 1980s a number of younger fiddlers learnt tunes from him. Ulf Störling is one of the fiddlers who play a lot of Olles Jonke's tunes today. The last tune is from the famous fiddler Erik Ljung from Delsbo. Erik Ljung's tunes were collected in the early 20th century and included in the big collection of Swedish dance music known as Svenska Låtar. The original transcripts can be seen online here. Last week we learnt two tunes from Hälsingland. The first one was a waltz I learned from fiddler Bertil Westling, who has been one of my most important influences in learning folk music. It's a tune he learnt from his father Bernard and there are a number of version of it played in different parts of Sweden. You can see Bertil play it together with his son Göran here, and look at another transcript with bowing details here (will take you to a pdf). The second tune was a polska composed by Eiwor Kjellberg from Järvsö. With its arpeggio figures in the B-part this polska is in a style very closely associated with Hälsingland. These polskas are especially connected with the Hälsingland fiddler Jon Erik Öst who travelled around the country in the first part of the 20th century performing a style of virtuoso polska that soon became very popular among fiddlers. Here is an example of one of Jon Erik's compositions called Skansenpolskan. His son Eric was also a very good fiddler who played both older and more modern dance music. He used to be a regular on entertainment shows on television and radio. Here is a recording of Eiwor playing her Polska i Moll, I've added a variation to the melody which may work better on if you don't play the violin. This page has information about my work as a musician, educator and researcher. Use the 'themes' at the top of the page to find posts that interest you, and please get in touch if you have any questions! Esbjorn Wettermark. Simple theme. Powered by Blogger.